Actually, strictly speaking we are not Diagnostic Specialists, we are Diagnosis Specialists, We Diagnose (Dictionary Definition - investigation or analysis of the cause or nature of a condition, situation, or problem <diagnosis of engine trouble>) some of the tools that we use are Diagnostic Equipment. It is actually very important that this distinction is made as this is what makes us deferent from the majority of workshops that consider that using a code reader (as a diagnostic tool) is all that is needed to determine the real cause of any problems or CEL (Check Engine Light) or MIL (Malfunction Indicator Light) appearing on the instrument cluster. 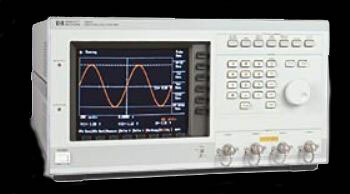 The most used and useful diagnosis tool that we have available to us is an Oscilloscope (we actually have a few for different purposes) . The Oscilloscope allows us to check and test the function of any electrical component, sensor, actuator, control unit and even the ECU (Electronic Control Unit) as part of our test routine to determine the true cause of any problem. In reality, diagnosis of any vehicle fault without the use of an oscilloscope by someone that has the knowledge and skills to use it properly really only leaves one method available - guesswork! Turner Diagnostics are vehicle diagnostic specialists, engine management system fault finders and auto electricians, this means that we diagnose and repair car and vehicle electrical and computer systems. As vehicle diagnostic specialists we do not believe in just swapping components until the problem is found. 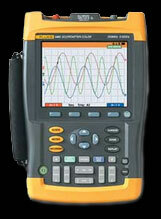 We always find out the cause of the problem ensuring cost effective repairs at all times. Our specialist vehicle diagnostic equipment gives us better than dealer level access to your cars computer system so we can see exactly what is going on throughout your car, from this we can diagnose any faults, Our testing doesn't stop there, as auto electricians once we have narrowed down the fault we can start to check the individual components or circuit boards for faults. Our specialist methods mean that you pay less because you are only paying for the fault to be fixed, not to have components swapped unnecessarily. Many people will have hear the phrase "limp mode" this happens when there is as issue with your car that affects the emissions and to prevent any major problems your car disables certain features. When this happens you will most certainly notice a loss in power, we have the ability to determine exactly what the cause of the problem is, then fix it and take your car out of "limp mode". We are experts in finding car emission problems, many car garages will tell you to swap a sensor or change the cat, we will find out which component is at fault or if there is a wiring fault and fix your emission problem. Issues we have helped people with range from Lights on the dash such as the Airbag, ABS and check engine light through to Alarm and Immobiliser problems right through to burnt out wires and looms, and much more, look around the site for lots of other examples of areas that we are regularly called upon to repair. We are also experts in sorting out "check engine light" problems - we get many people come to us who have been to many different garages and even main dealers and still have the check engine light on the dash, this light is telling you that the ECU has detected a problem with your car and you should investigate, we are able to use our specialists vehicle diagnostic tools to find out what the message is on the ECU and then investigate what is causing it to come out - on a regular basis we have found and fixed problems main dealers haven't been able to even find. We have an enormous range of specialist vehicle diagnostics equipment available to cover a wide range of cars, including many vehicle manufacturer specific tools. 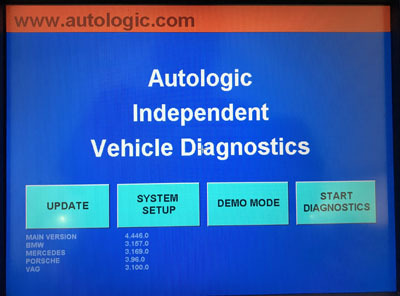 In addition we also have other specialist vehicle diagnostic tools that cover All Asian makes and others that cover European models, with a further range for American cars. We have over the last few months put together a kit of components that allow us to carry out on-vehicle monitoring of any of the sensors or actuators while the vehicle is in our workshop or even driven under any load or speed condition, you may wonder how this helps to determine the cause of problems on cars. Its simple, in addition to monitoring the live data that is being received by the ecu, which is the only way that the ecu can modify fuelling or ignition timing for example, we can also monitor the actual outputs from sensors and check fuelling with our Wideband Air Fuel Ratio (AFR) equipment, this AFR equipment is much more accurate than the o2 sensors fitted to vehicles and allows us to see exactly what is going on inside the engine. Being able to check sensor outputs and compare them with what the ecu is receiving allows us to see problems and issues that otherwise would be virtually impossible to detect. Not only can this system allow us to diagnose faults, it can also be used to determine the most significant areas that can be improved on any vehicle, allowing us to recommend changes or remap the vehicle for performance and or ecconomy. We are constantly adding to the vehicle range that we have the official dealer diagnostics tools for, having these tools allows us to perform all the specialist tasks that can normally only be completed by the vehicle manufacturers main dealers. With all the other specialist products we have at our fingertips, with the expertise to be able to use them properly we are a genuine alternative to the main dealers, especially if you want the job done right first time and in a cost effective manner. In addition we have a wide range of other specialist diagnostic tools that enable us to diagnose and repair faults on almost any vehicle on the road. We not only have the relevant hardware, we also work closely with a number of the diagnostic equipment manufacturers in testing and developing the equipment to enable further enhancements and capabilities. This means that when it comes to J2534 Passthru programming capabilities not only do we have the very latest technology and hardware available but can also claim to be one of the UK's leading companies in this specialist area. Passthru Programming utilises specialist hardware combined with the manufacturers web based systems to allow software patches, bug fixes and upgrades to be installed on motor vehicles utilising the same web based systems that the dealers use. We can even perform security related upgrades and changes such as key programming and immobiliser related repairs and configuration.